August | 2017 | Life, She Wrote. It’s well-known that I like to make friends with my plants (all inanimate objects really – in a much less psychiatric way than that sounds). I’ve totally become one of those people who speak to their greens in the rare case they might hear me and grow a little better. It’s also well-known that I’m not the greatest of all gardeners, and like many new beginners, have a regrettable track record at keeping things alive (green, plant things that is! My human patients have never suffered from my lack of a green thumb I promise!). It would seem that plants are yet to learn how to love me as much as I love them. From an outsiders perspective, it looks like an easy gig. Water, sunlight, fertiliser – and voila! But I am here to confirm that all is not as it seems in the world of plants, and my goodness – I have so much to learn. But never fear! This August, I’m turning over a new leaf (pun definitely intended). I’m learning how to be the crazy plant lady in all my glory – starting with Fred the Fiddle Leaf Fig. Fred arrived last Friday with a tiny height of 50cm and as cute as you get when it comes to plants. Wanting to keep this one on the healthy side of preservation, I did a little research and thought I might as well share it for anyone else who, like me, may not be plant-rearing-gifted. I’ll call the following tips collectively… How to best love your fiddle-leaf friend 🌿 And wish it to be the most helpful gardeners how-to list you read today! Fiddles love the sun, or at least, they love the humidity and brightness the sun brings – and not quite the direct sun rays. So keep this in mind when choosing the perfect place to keep your new green friend. I keep Fred in the corner of the main lounge room. There’s always plenty of sun to keep him in the brightness all day, with a little refuge thanks to the charcoal curtains adorning the window. One important thing to know is that Fiddles don’t love being watered as much as you imagine they would. They are easily susceptible to root rot – and trust me, that looks just as bad as it sounds. Only water your Fiddle when the top inch of soil is dry. If you’re not sure, try sticking your finger in the soil and work it out by feel. Depending on the weather, the potting and the position, you might find your Fiddle only needs to be watered once or twice a month! (Talk about low maintainence!). Fertilise your Fiddle regularly! They thrive off being fed at least once every month throughout their growing seasons (this means you get a break over the winter months!). Try using a weak liquid fertiliser – if you’re not sure which one, I’m sure your local garden centre staff can point you in the right direction. When it comes to soil, Fiddles aren’t picky. Any good soil will do the trick as long as it’s a fast-draining potting mix that will allow water to move freely through. 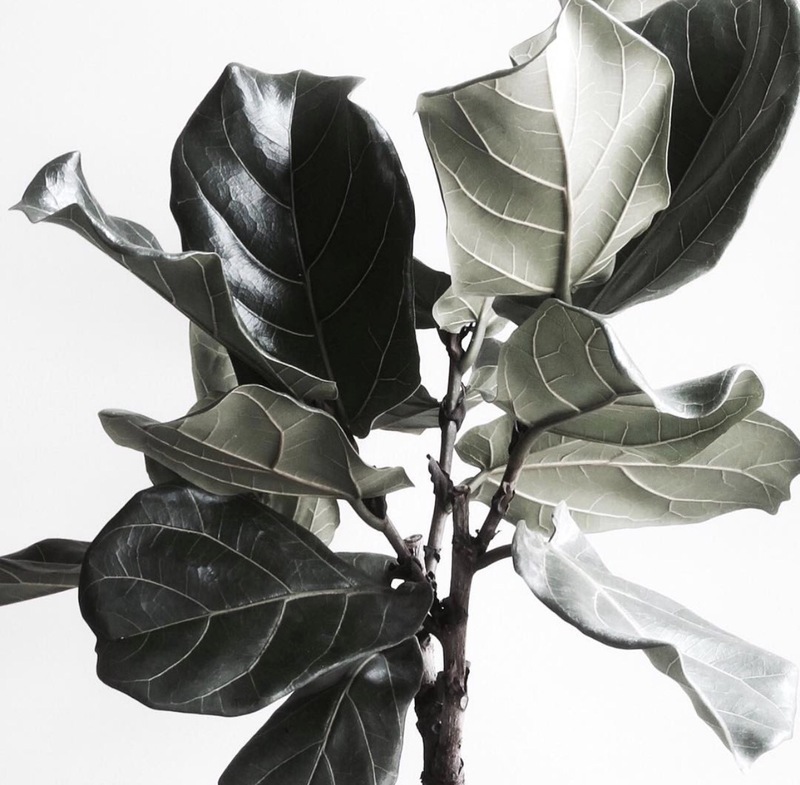 My tip: go for quality soil over the cheaper priced ones – your Fiddle Leaf leaves will adore you all the more for it. Your Fiddle will need some TLC from time to time with its beautiful large leaves. Being such a great indoor plant unfortunately doesn’t make it immune to catching dust. So every now and then, take to the leaves with a cloth to gently wipe away any residual on the leaf’s top side. This will help your Fiddle to absorb as much light as possible and increase its ability to avoid fungal infections. It also brings back the gloss we all love! If you want to have a little influence over how your Fiddle grows, you might want to give pruning a go. Fiddles should only be pruned in the Spring months (this is its best growing season!). Pruning promotes branching and a thicker growth. If you want your Fiddle to look similar to a tree, make sure you prune from the top to encourage the branching out up there! Fred is a one metre high variety, perfect for my little home – so I’m thinking I’ll just let him do his thing! And that, ladies and gentlemen, is apparently all there is to it! Here’s to hoping my little Fiddle Leaf Fred (and yours too of course) stays glossy, healthy and happy from here on out! August is definitely the month for learning how to make my plants love me one ‘How-to-self-help’ list at a time! Next, I think I’ll try jasmine….